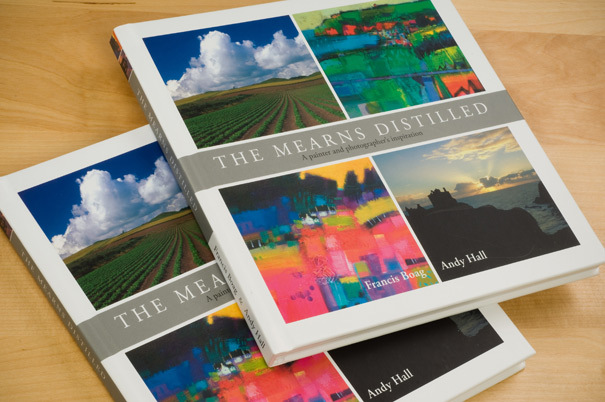 An idea evolved from a chance first meeting between artist Francis Boag and photographer Andy Hall, when they found themselves, coincidentally, sitting beside each other in the lounge of the Marine Hotel on the Shorehead of Stonehaven Harbour. 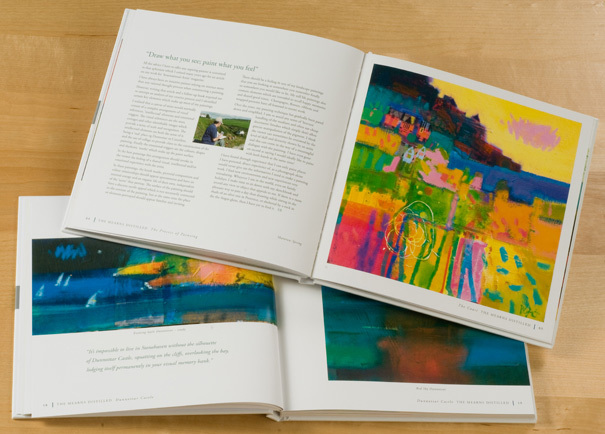 Both live and work in the Stonehaven area and both have established a reputation in their respective creative fields but, whilst they knew of each other’s work, they’d never met. 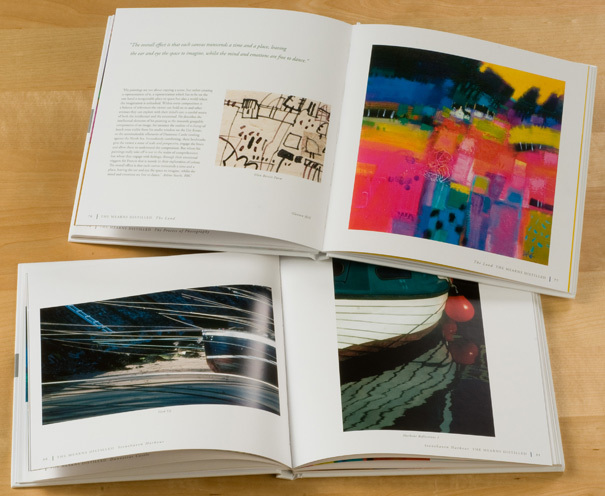 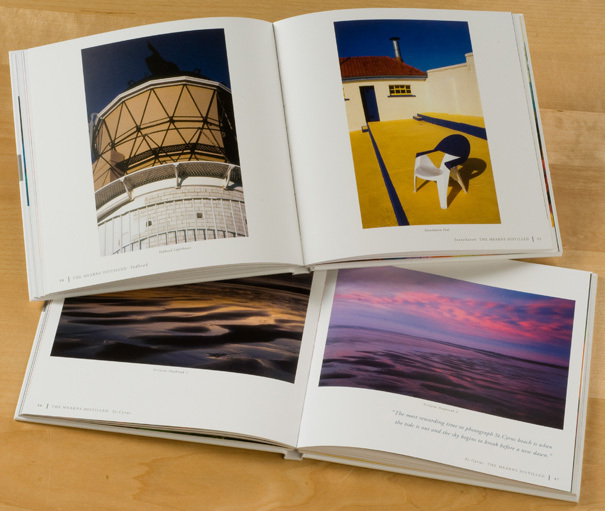 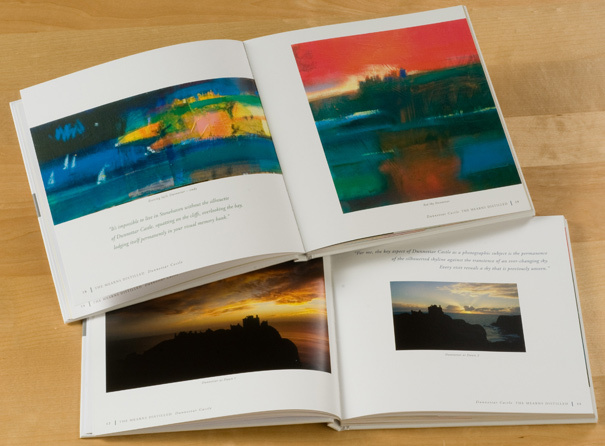 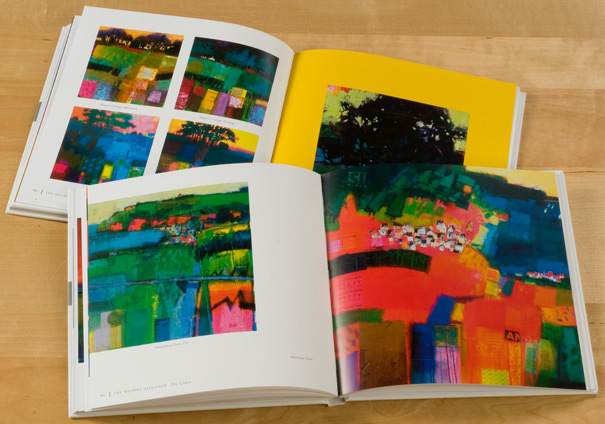 It was certainly an unusual project for me as I had two clients, both with an equal say on the outcome of the design of the book, each with their own particular views on how their own work should best appear in print. 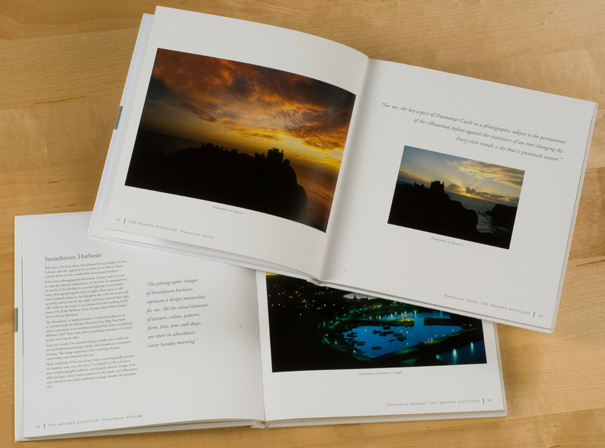 However, it wasn’t long before we established a design format and running order for the book that we were all happy with. 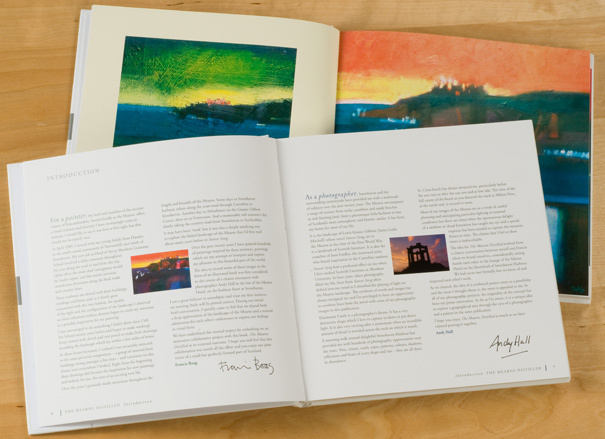 The book, printed by Scotprint in Haddington, Scotland, is dedicated to the memory of James Leslie Mitchell (Lewis Grassic Gibbon), author of A Scots Quair, whose words intersperse the book’s many images. 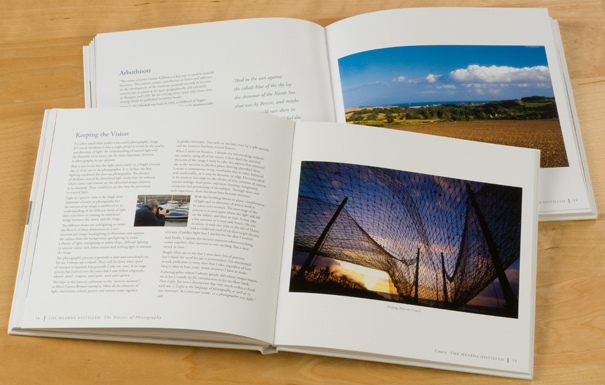 The book was launched on 16 August 2009 at the Lewis Grassic Gibbon Centre in Arbuthnott.